In the next two weeks, LifeBound will be launching a completely re-designed and comprehensive website. One of the biggest changes involves expanding the current Carol J.Carter blog and adding in parent expert blogs and college and high school student blogs. Each week, we’ll start with a theme like: Making the Most Out of the Summer Without Spending Money. Carol will discuss how teachers can approach that theme with suggestions daily for classroom emphasis. During the school year, Carol’s topics will provide teachable guidelines for facilitating dynamic class discussion. On Tuesday, we’ll have a perspective for the parents of high school and college students. Wednesdays we’ll focus on information for middle school students. Thursdays will be information for parents with children under fifth grade. Fridays we’ll profile someone outstanding who is a role model for all of us on this issue. I’m thrilled and honored to have been invited to do some writing as a member of the LifeBound family and want to introduce myself and my philosophy. My name is Bette Levy Alkazian. 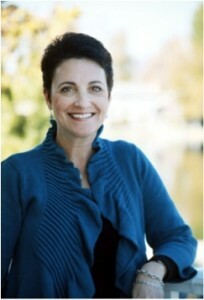 I’m a Family Therapist and Parent Coach in private practice in Thousand Oaks, CA. I’m married to Jeff and we have three daughters ages 20, 16 and 11. Now you know that I’m in the parenting trenches with you all! I wrote a book called “Parenting Backwards.” The book refers to the tool of thinking 25 years into the future when deciding how to teach, guide, intervene and parent our kids. When disciplining our kids, if we ask ourselves, “What would I want my child to learn from this moment that will serve him 25 years from now.” Then, we are much more likely to know what to do in that moment and we will feel so good about our intervention because it will have come from a place of forethought – not just shooting from the hip. I believe strongly in modeling good behavior because kids listen to our behaviors much more readily than to our words. I’m a big believer in healthy communication and feel passionate about helping others to master it. I think parents need as many tools in their tool belts as they can collect so they are able to handle things in the most constructive ways possible, all while still being human and imperfect! I also think that life is too darned serious sometimes and that we need to use laughter and humor to keep things in perspective. Sometimes, that includes laughing at ourselves! Thank you for listening and I look forward to sharing more and learning from you as well!